Understanding PPD, and more specifically, warped PPD, is the underlying principle behind giving yourself the greatest mathematical edge possible. There are, of course, other things to consider, but this one principle should be the backbone behind every option spread you trade. 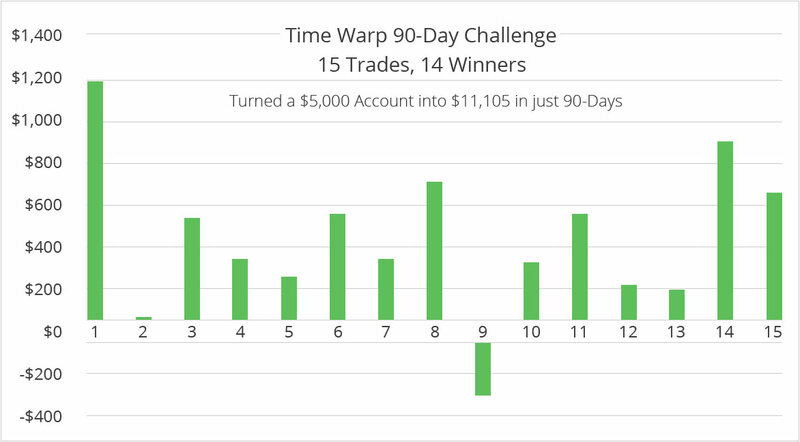 Based on a challenge from a client, I traded a $5,000 account with essentially nothing more than the core versions of my Time Warp Strategy. After 90–days, that account grew by 122%. Even more impressive is that 45–days later, that same account grew to over $17,200, or 244% in just 4 1/2 months. That averages out to be a 12.8% return per week. There are many Time Warp traders who have done even better than that. You have the ability to experience extraordinary returns with a high-probability, proven option spread strategy by learning this powerful strategy through my 4 online Time Warp videos. 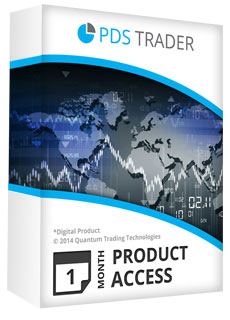 When traders want to produce income, the trading industry is obsessed with "Credit Spreads". This only proves that most of the industry doesn't understand the basic principle of "Warped PPD". If they did, they would understand that the warped time value with credits spreads is a fraction of what it is with most Time Warp Strategy opportunities. How many reading this right now have been caught in the trap of trading credit spreads, experience success, only to give it all back and then some 6–months down the road? A "Credit Spread" is a spread where you buy and sell 2 different options with the same expiration but different strikes, creating a credit. A typical credit spread has a warped time value of only about 25% (sometimes less). Compare this to some Time Warp opportunities where the warped time values are as high as 1,000%. When you learn my Time Warp Strategies, you learn how to use them to give you the highest probability to generate weekly income. In fact, when traded consistently and combined with proper risk management strategies, the Time Warp strategies have the ability to achieve extraordinary returns over a 2–year period. You'll see why in my videos. I have received hundreds of emails echoing the same sentiment…that Time Warp is unique and the best trading strategy they have ever traded (option or otherwise). 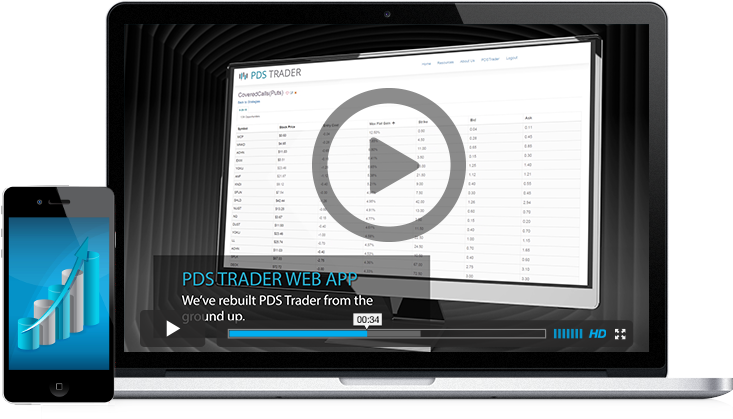 In the "Power of PPD" video, I have already revealed to you how and why warped PPD values is the most powerful contributing factor to profitable option trading. The math doesn't lie. Start making this powerful approach work for you. * TimeWarp Trading makes the most logical sense to me of any signal service I have seen. And I have experienced the positive results to prove the logic. * Enjoyed your presentation of the Time Warp trading techniques…Thank you for helping option traders with leading edge material. * I attended your webinar and was very amazed at the simplicity of your teaching style. Had attended another seminar on Options and had to walk out midway because it didn't make sense. Thanks! * I look forward to a very successful (learning) relationship. As a numbers person, it is easy to get into your system and I am determined to succeed. When weekly options were made available in the current format in January of 2014, it literally changed the playing field for option traders. I began trading options in 1987 and have some impressive track records, including a 54 trade win streak that spanned an entire year. But my Time Warp weekly option strategy is hands down the best overall strategy when it comes to risk/reward metrics, long-term probabilities, and ability to grow capital geometrically through proper compounding. Another great thing about this strategy is that virtually anyone can trade it. If the Signals do not make back the cost of the Time Warp package, you may request a full refund. We do not give refunds for any other reason. The strategy has been proven over and over and over again and I do not give it away for free. But since this is your first introduction into this powerful approach, I am willing to back the method based on the signals performance. I go to great lengths to fully explain every aspect of the strategy, including the risks, why they occur and how to properly address them. I explain the probabilities and why they work. Everything is mathematically verifiable.